Also known as, "the yarn made me do it". There's really nothing else I can do. I HAD to order more yarn, so I can finish my scrappy bag because otherwise I'll have to work on the other WIP's I'm supposed to be working on. THIS is why I can't have too many WIP's! I've got 4 miles of yarn on the way. Some acrylic, some cotton. All for crocheted blankets, cushions, bags, decorations and various other projects I simply must cast on right now. haha oh boy, have I been there! That's a very happy scrappy bag. Yes, I totally agree. 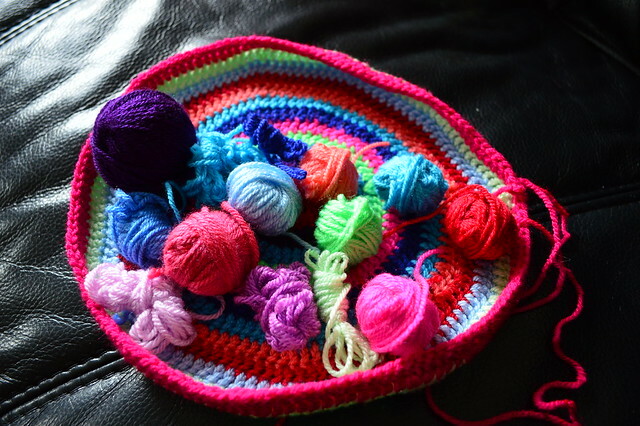 In fact, if I start using up scraps (yarn or fabric), mostly there is more material left afterwards than I had before. This is happening with a cardigan I'm knitting with sock yarn. I had seen sock yarn in the thrift store and bought some skeins, that would match the material I already had. Now I couls knit three cardigans. 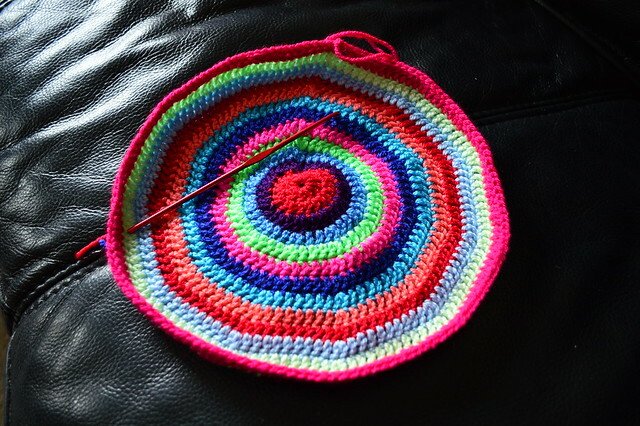 *smiles* I usually give my scrap yarn to the childcare teacher who teaches some how to knit.